We just love this book and not just because we have having one of our coldest winters for many years in South Australia…we have been playing with this wonderful book for well over a year. We have tried enough recipes to say they work and unlike so many cookbooks were we try recipes before writing a review, the pages remain pristine without multitudinous annotations scribbled throughout recipes to clarify ingredients, cooking method and often, in particular, cooking temperatures and times. This is not a book for the FAF cook [fast and furious] but, if you’re the type of cook that likes nothing better than getting in the kitchen with a glass or two and a friend or three, and cooking up a storm you will love this book. 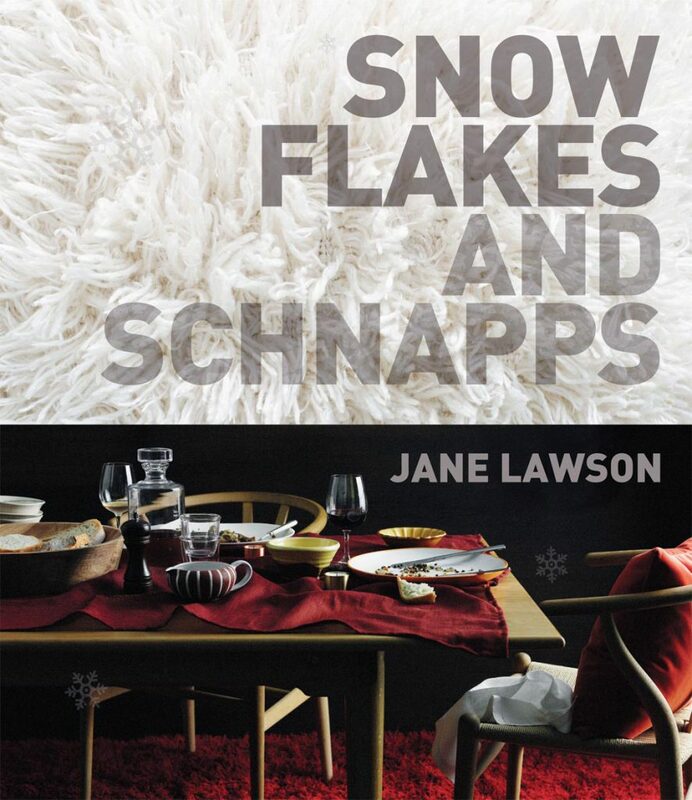 Beautiful to look at it, Snowflakes and Schnapps brims with really delicious winter food. It starts with canapés and snacks and ends with dessert. In between fab cocktails that look and taste divine and loads of wonderful food combinations for relaxed winter entertaining. There are plenty of great dishes that can be fully prepared in advance and there are inspirational table setting ideas that just make you want to light the fire, get on the phone and invite the herd…..making clear a bottle of schnapps is part of the deal!! We love this book for its good sense, plain speaking and the bonus of really excellent recipes. Bitterballen…made at least half a dozen times now and it doesn’t seem to matter how many are made there is a fight over the last one. We have also experimented with freezing them pre-frying and they are okay but not as good as when freshly made. Cheese Fondue…but we like a larger variety of dunkers and we roll our house-made ciabatta croutons through really good EVO and crunch them up in a 180°C oven. Borscht with horseradish cream…different to our standard recipe but excellent and although the potato flat breads are excellent with smoked salmon they are fab with the borscht. Winter Strudel…is also a starting point for many different incarnations. Golden apricot dumplings…really hit the sweet spot…but there’s plenty of choice!